Getting rid of an old computer is more complicated than you’d expect. Where should it be thrown out? How do you prevent a malicious, tech-savvy individual from stealing your old computer parts and the personal information they hold? When it comes to your computer, don’t just throw it out in the nearest garbage can. Here is a guide to help you properly dispose of your old computer. Before you leave your old computer or computer parts at the edge of your driveway, consider the files you’ve saved over the years. Extract important documents, photos, and videos from the hard drive and move them to an external hard drive, different computer, or cloud-based storage program. If your computer is very old, you may need help from a an IT support company to extract your old files. Even if the computer no longer works, a tech-savvy individual could take it apart and use it to access your personal information, including your Social Security and bank account numbers. 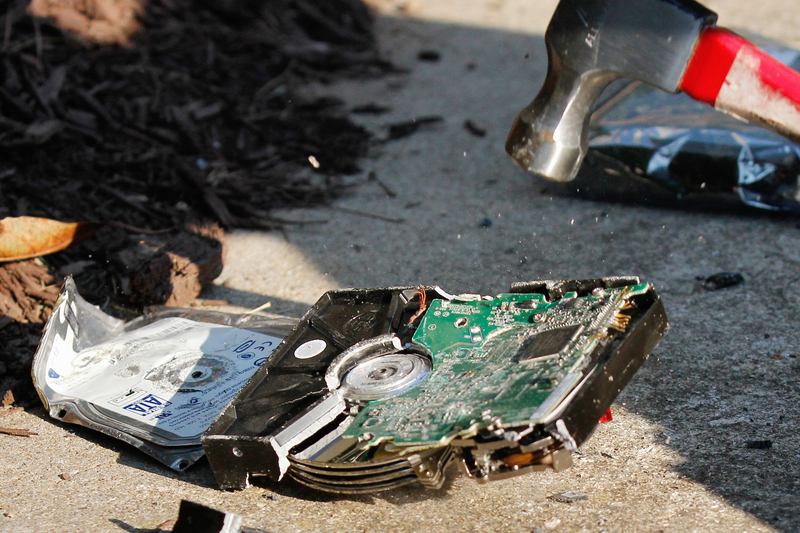 To prevent identity theft, destroy your hard drive—either using a hammer or drill or by wiping it clean electronically. Once you’ve destroyed the hard drive, you can throw out your computer with confidence. However, if it still works, consider donating the computer or the more valuable computer parts to a community organization or charity. If your old computer is no longer functional, you can also give it to an electronic recycling facility recommended by the United States Environmental Protection Agency. Looking for more information on how to retrieve or destroy personal information before throwing away your old computer? Get in touch with RadioActive in Flathead County, MT. They can also help you get a broken computer back on track, fix individual computer parts, or find you a newer model that better accommodates your needs. For more information on their repair services and computers for sale, visit their website or call (406) 257-5999.